Most professional photographers agree that great lenses are a better investment than a great new camera body. Cameras come in and out of style constantly, with newer, better models coming out every year. Excellent lenses will last you for decades if you take care of them properly and can have a much bigger impact on image clarity than a newer sensor or processor. By taking the time to learn a bit about some great lenses, you will be taking a step toward taking better photographs. There are a number of budget lenses that can provide excellent image quality for people who don't have thousands of dollars to spend on lenses. The important thing to note is that all of these lenses can be used on any camera when you have the appropriate adapter for the lens. This opens your options up quite a bit to include older lenses built for other camera brands. Sometimes called the "Nifty Fifty" or the "Plastic Fantastic," the Canon 50mm f/1.8 is a portrait lens that is extremely affordable. It can often be found for around $100 brand new depending on where you look. 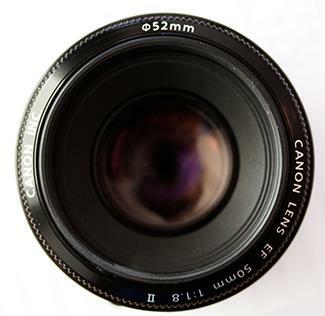 Every photographer should have at least one lens that they use for portraiture, and this Canon has a great focal length for this purpose when used with APS-C cameras. Since it can also go down to f/1.8, you can get a very shallow depth of field in your images, which blurs the background and helps your subject to really stand out. All around, this lens provides an excellent value for photographers who want an excellent portrait lens, but who have a smaller budget. The Sigma 10-20mm is an excellent choice for people who want a wide field of view without paying an arm and a leg. At just under $500, this lens is not very expensive for the low focal length that it provides. With a shorter focal length, you will be able to get much wider shots than you can with most kit lenses and get better image quality as a happy extra. This makes the lens excellent for use in landscape photography and taking pictures of large crowds. Since Sigma is a third-party lens manufacturer, you can find these lenses built with mounts to fit almost any major camera brand without having to use an adapter. With one of the largest focal length ranges of any lens available today, the Tamron 18-270mm f/3.5-6.3 is an extremely versatile lens. It can be used for anything from wide shots to deep zoom shots, making it an excellent option for outdoor photographers. Instead of having to constantly switch lenses or carry two cameras with two different lenses, you can now use one lens and never worry about missing a shot. The clarity on this lens is not on par with what you would get from a Canon L-Series lens, but reviewers still say that it is excellent. This is especially true when you consider the price. At around $650, it's one of the more affordable quality zoom lenses you can get. These lenses are for photographers who are at a point in their life where they can afford to spend $1500 or more on a new, professional lens for their camera. 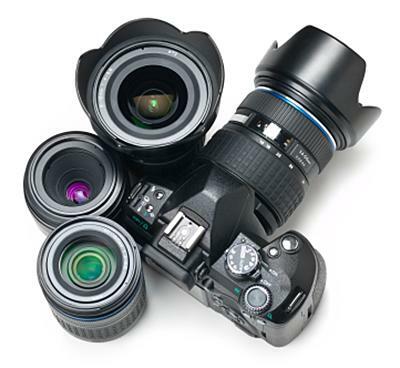 The lenses listed here are all of excellent quality, but they are also extremely expensive. The Canon EF 50mm f/1.2 L is widely regarded as one of the best portrait lenses available for APS-C camera users. There are many great portrait lenses out there to choose from, but the smooth focusing, sharp images, soft bokeh, weatherproofing, and build quality make this Canon an excellent choice for pros and advanced amateurs. All lenses by Canon with an "L" in the name are part of Canon's "Luxury" lens line. These lenses are uniformly very expensive, but they absolutely deliver on high-quality results. 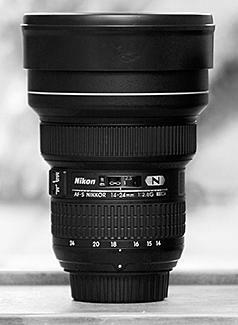 The Nikon 14-24mm f/2.8 is an exceptional lens that provides beautiful image clarity. It offers lightning-fast auto focus, a nano-crystal coating that cuts down significantly on glare, and a very rugged construction. This lens is built with longevity in mind, and lots of photographers look at this lens as their "go-to" lens for landscape photography. It's not as fast as other lenses in its price range, but you want to keep your f-stop at around 9 or 10 when shooting wide, open landscape photography anyway. However, it's fast enough to do well in low-light situations while walking around cities, parks, or anywhere else your photos take you. The Canon EF 70-200mm f/2.8L is a beast of a zoom lens. It may not go as far as some other, cheaper lenses, but the clarity that it provides is nearly unparalleled in the world of zoom lenses. When you are at full zoom, you are letting much less light hit the sensor on your camera. For this reason it can be difficult to get clear shots in low light when using the more common f/4-5.6 zoom lenses. Since this Canon goes down to f/2.8, you will have a lot of latitude when it comes to lighting your outdoor or macro shots. You will also have the clarity provided by the fluorite lens technology that was pioneered by Canon, which produces exceptional image clarity and glare reduction. There are always new cameras coming out, and each one has its own set of bells and whistles that are supposed to impress you. However, the second you buy these new cameras you are just waiting for a newer, better version to come out. This can end up costing a lot of money while getting just average pictures. Investing in quality lenses will help you to get exceptional images for years and years. After all, muddled images hitting the most advanced sensor in the world will still look unclear. You need great lenses to provide your sensor with the clear, precise images it needs to produce the images you want.